FROM PANEL TO PANEL • June 2016 Graphic Novel Releases I’m Excited About! What a wonderful month of awesome comics. In June, you get graphic novels about Patsy Walker aka Hellcat, historical French revolutionary Feminist, a T-Rex, Saga, and much more! Patsy Walker has managed to escape her past, her enemies and Hell itself (literally) – but nothing compares to job hunting in New York City! Between trying to make rent and dodging bullets, Patsy barely has time to deal with her mother’s exploitative romance comics about Patsy’s past resurfacing, much less how they start to interfere with her work and dating life. As she goes from living a double life to a triple, what the hell is Patsy Walker supposed to do? There’ll be friendship and burgers, monsters and rent checks and a ghost from the past with questionable motives! Comics’ most flexible heroine has been a provisional Avenger, a Defender, Satan’s daughter-in-law and a dead woman -but she’s never been anything like this! 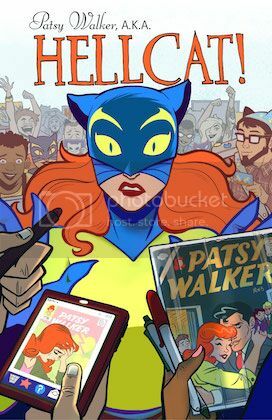 Why I’m excited: Patsy Walker aka Hellcat is the only Marvel Comic that I’m following religiously. Why? It’s just so darn cute! You have Patsy Walker, who used to star in her own books written by her mother; wonderful friendships (omg, Patsy + She-Hulk! 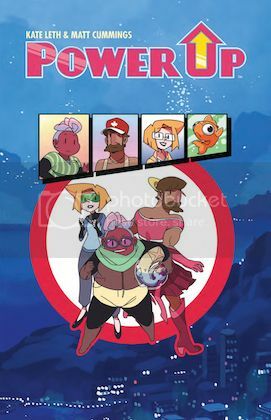 ); an amazing group of familiar names (like Jessica Jones, America Chavez) making an appearance; people with superpowers who just want to be normal; and very cute art! A detective with no memory, no identity, and no manners. A femme fatale seeking escape from a powerful crime lord. A voodoo queen with a penchant for mixtapes and hi-tops. A goat-eating TV… A surreal neon-noir fusing hardboiled pulp with an 80’s VHS visual aesthetic, dripping with neon and static. Why I’m excited: If I read a synopsis with a character with no memory, a femme fatale, and mixtapes and hi-tops, you best believe that I will make grabby hands at it. I’m fascinated by this world that “uses music [as] a deadly weapon,” and you always have to be careful of your electronics. I’ve very into the art; it does give me the 80s aesthetic vibe. 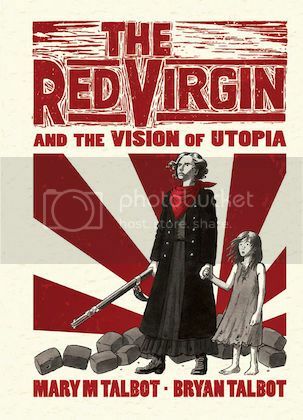 Why I’m excited: Based on a revolutionary French feminist? Umm, of course I want to read about this woman. I’m always excited to read anything (especially comics) about badass historical ladies. My heart yearns for it. Why I’m excited: Kate Leth is at the helm, and I have nothing but trust with all her work. What can go wrong with awesome, cute art + a story about a super-team? 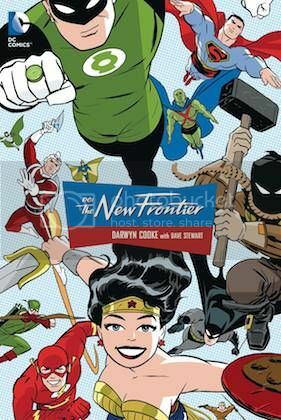 Writer/illustrator Darwyn Cooke’s critically acclaimed masterpiece DC: THE NEW FRONTIER is celebrated in this oversized Absolute edition featuring new story pages, detailed annotations, alternate sequences and an extensive gallery of sketches, pinups, action figure art and much more! The art is fantastic, and it’s the Justice League during the 1950s. What kind of Cold War issues will they be battling? Lunella Lafayette is a preteen genius who wants to change the world, but lives in fear of the Inhuman genes inside her! Now, Lunella’s life is turned upside down when a red-scaled beast is teleported from the prehistoric past to a far-flung future we call…today! Together they’re the most Marvelous Team-Up of all — Moon Girl and Devil Dinosaur! But will they be BFFs forever, or just until DD’s dinner time? And Lunella soon learns that there are other problems with having a titanic T-Rex as a pet in the modern-day Marvel Universe. School, for one. Monster hunters are another — especially when they’re the Totally Awesome Hulk! Then there’s the fact that everyone’s favorite dino didn’t journey through time alone. Beware the prehistoric savages known as the Killer-Folk — New York City’s deadliest tourists! 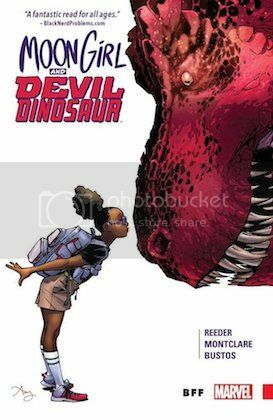 Why I’m excited: Moon Girl and Devil Dinosaur is the cute you need in your life! Here’s a girl who befriends a T-Rex! (A dinosaur!) And do you know how cute that is? When they’re together, hold onto your hearts, friends. They’re an unlikely pair, but they work. Why I’m excited: Hellllllllo, sweetness! 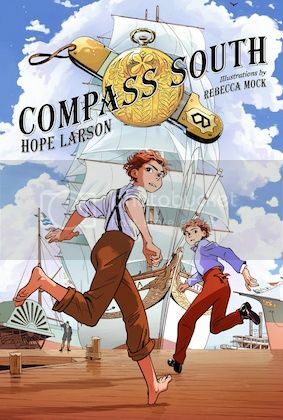 What you get in Compass South are: red-headed twins, gangs and heists, pirates, and so much more graphic novel awesomeness! I would like to be part of this adventure please. 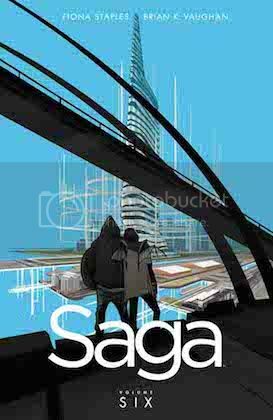 Why I’m excited: SAGA IS BACK. SAGA IS BACK. SAGA IS BACK. SAGA IS BACK. SAGA IS BACK. SAGA IS BACK. SAGA IS BACK. SAGA IS BACK. SAGA IS BACK. SAGA IS BACK. LET THESE BBS REUNITE. LET THERE NOT BE BAD THINGS HAPPEN. 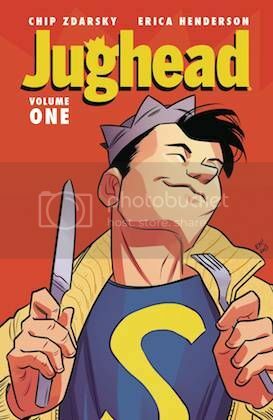 Why I’m excited: The legendary Jughead gets his very own comic! What kind of shenanigans will he get up to? (I hope a lot of food-related ones.) And Chip Zdarsky is writing it! WINNER, WINNER. Hellcat, The Red Virgin, and Moon Girl and Devil Dinosaur are the most appealing to me. I’m so excited for Patsy Walker AKA Hellcat and Jughead volume 1! I love all the rebooted Archie series (especially Sabrina) and I also can’t wait for Betty & Veronica & Josie & the Pussycats! Moon Girl and Devil Dinosaur looks cute and I really need to catch up on Saga! 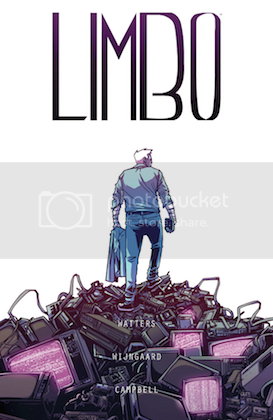 Whoa, Limbo sounds fantastic! I must acquire immediately. I really need to catch up on Saga — I’ve read the first two volumes, but. . . *whispers*I like them but don’t love them like everyone else seems too. I hadn’t heard of any of these, but I’m kind of interested in this devil dinosaur!